We offer high quality of suspension anti roll bars. Available with us, is an industrially verified array of suspension dampers that are utilized in suspension systems for reducing deterioration. Also functional for blocking the noise by absorbing vertical oscillating shocks, these suspension dampers are obtainable by our clients at competitive rates. With the notable support of our professionals, we offer our clients with Suspension Bushes, which help in thwarting shock intensity during operation. 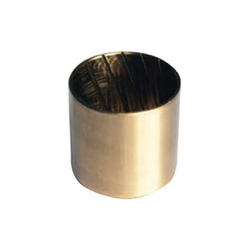 These suspension bushes are widely demanded by marine equipment manufacturers for fabricating marine containers. We Offered Suspension Mountthat are appreciated by our clients for their attributes like durability, sturdy construction and corrosion resistance. Featuring a long functional life, these isolators are reliable in performance. Our clients can avail these from us at most competitive prices. 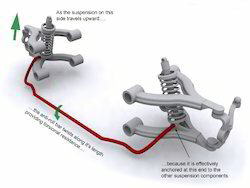 The shoulder of comfort level in the vehicle is borne by the suspension system. We at Lovson Industries have always upgraded ourselves to match the requirement by using the best quality Nitrill Silicon Rubber, Polyeurithene, CTW, Seamless pipes & SG castings asper requirement and specifications.